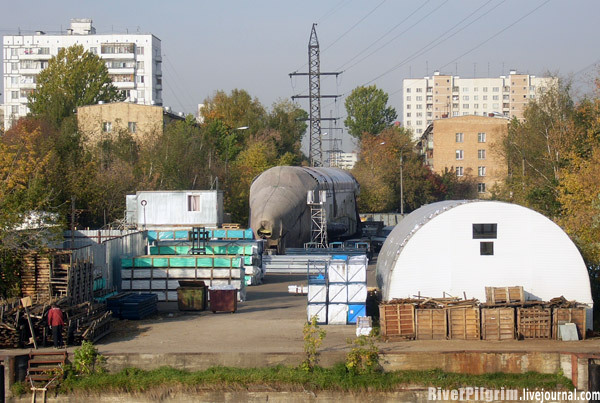 The OK-2.01 shuttle was moved few weeks ago from its storage area (Tushino banks) to the Zhukovsky airport to be restored. This is the first picture of the restoration shoot by Ivan Kirilov, where we can see the work achieved. 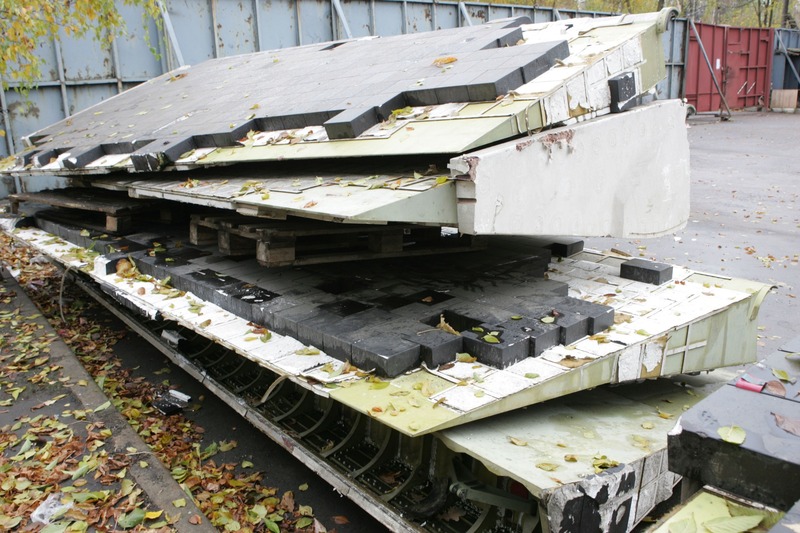 Clearly the « restoration » had to be done for the MAKS-2011, because the heat shield was not restored, only a layer of paint was put on the existing tiles. The leading edge and the nose cone are missing, there is not rear view but knowing that the engines weren’t on the model during it’s storage period there is few chance that they put them on the shuttle. Here are 2 new pictures of the MAKS 2011, head side for visitors, reverse side … without comments. 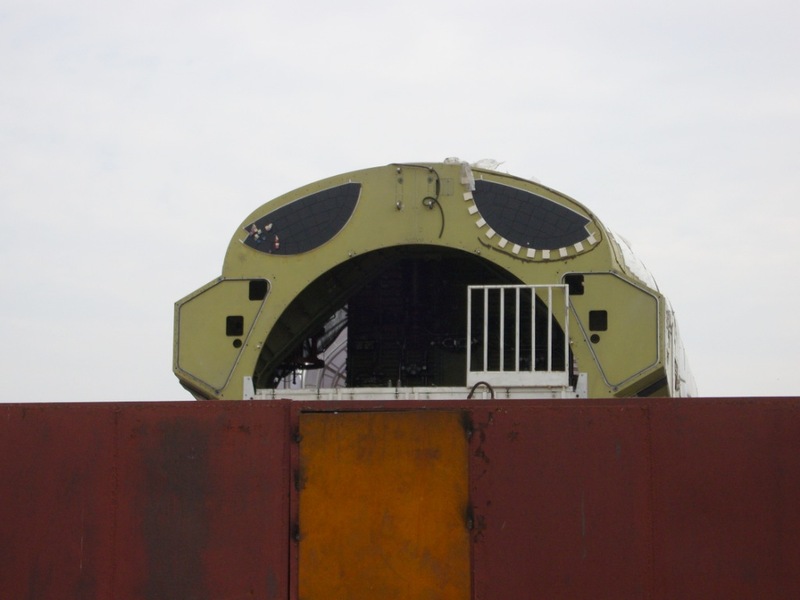 Posted on: 2011-08-16 under Buran OK-2.01. 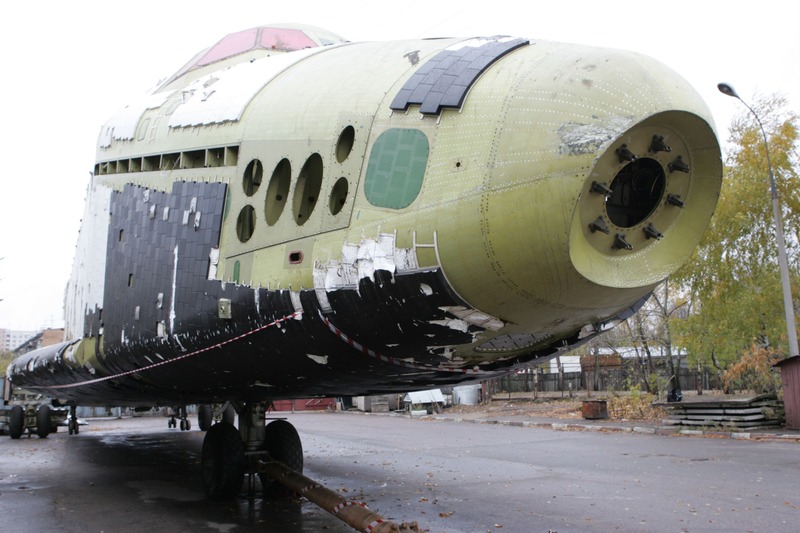 Here is some pictures I took last summer at Tushino (suburbs of Moscow) where the second generation Buran OK-2.01 is stocked, we can see that she is in a pretty bad shape. 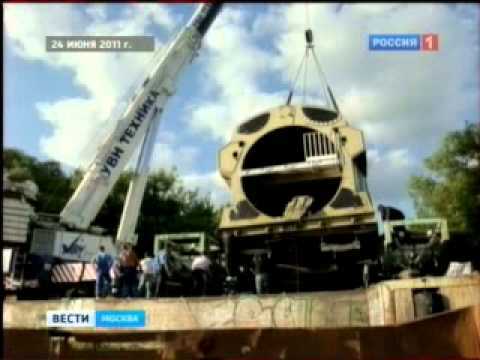 Posted on: 2010-02-22 under Web Site, Buran OK-2.01. 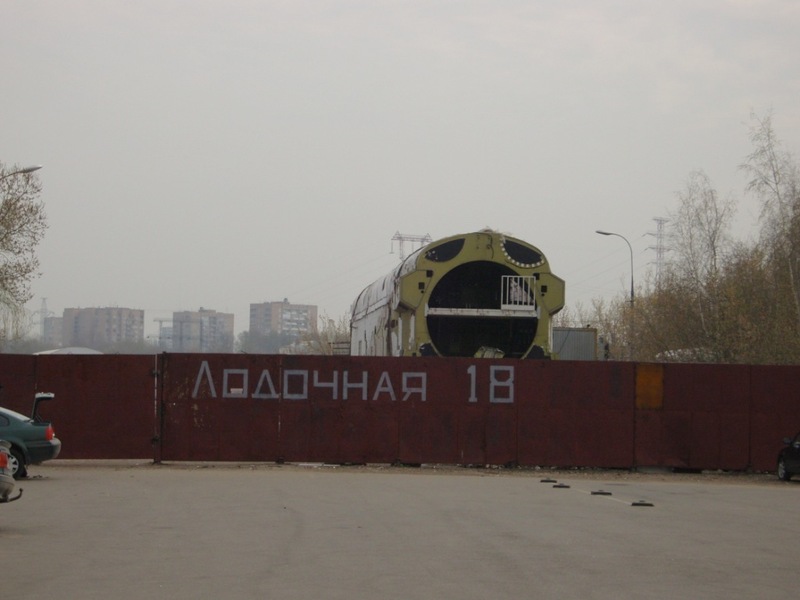 Here is some pictures I took in the Tushino’s suburbs where Buran OK-2.01 is parked. Actuator of the vertical stabilizer. Reinforced Carbon Carbon tile (leading edge of the wing). Braking parachute it’s weighting 175kg and was used to slow down the shuttle after it’s landing. We can see on the third picture the user’s guide. 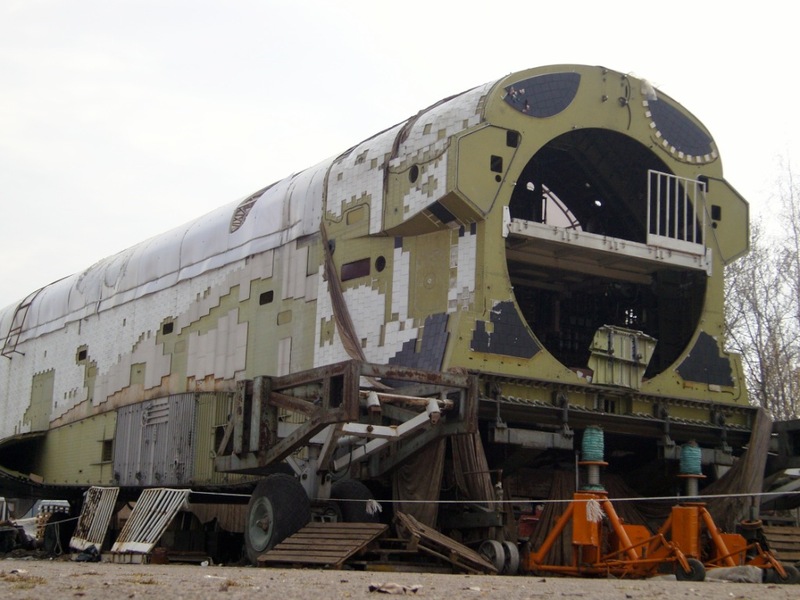 Posted on: 2009-10-10 under Web Site, Buran OK-2.01. 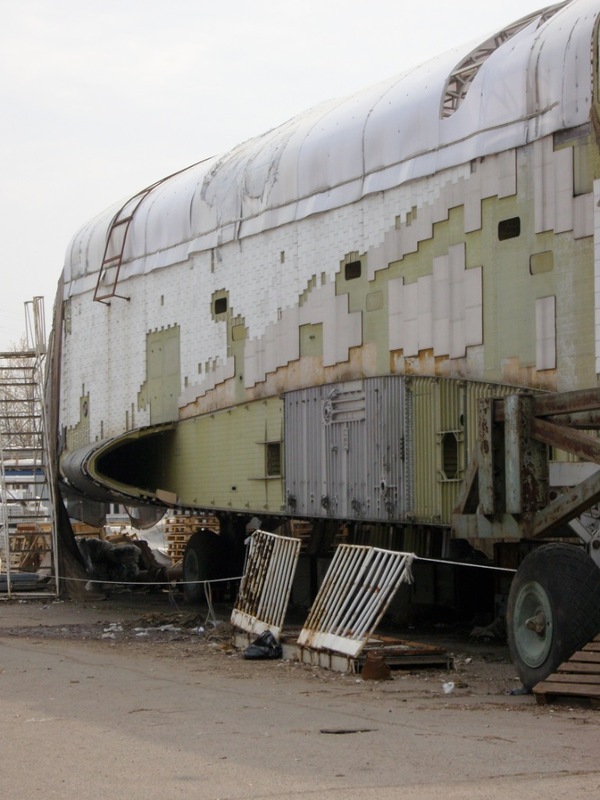 Here is some pictures of the rusting OK-2.01 shuttle. This shuttle was in assembling when the program was stopped in 1993. It should have some modifications in the cabin, in comparison of the model which flew. 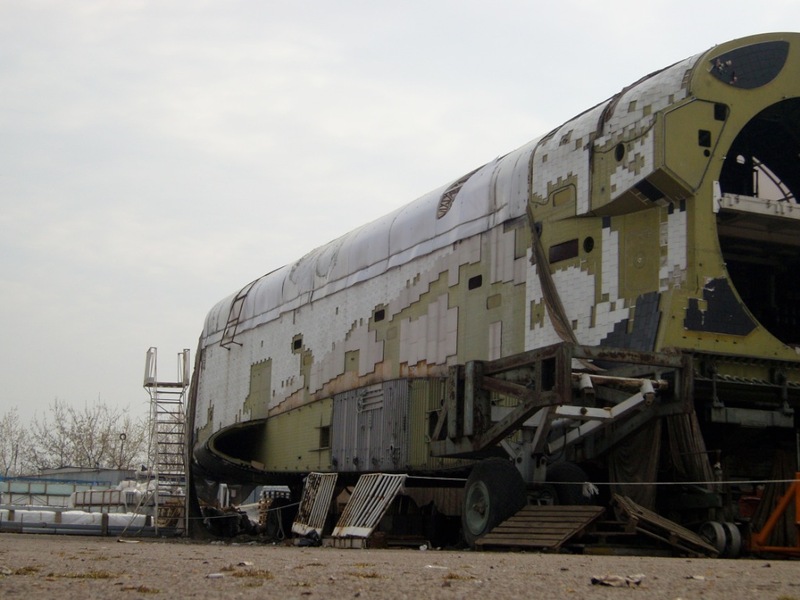 Posted on: 2009-03-11 under Web Site, Buran OK-2.01. 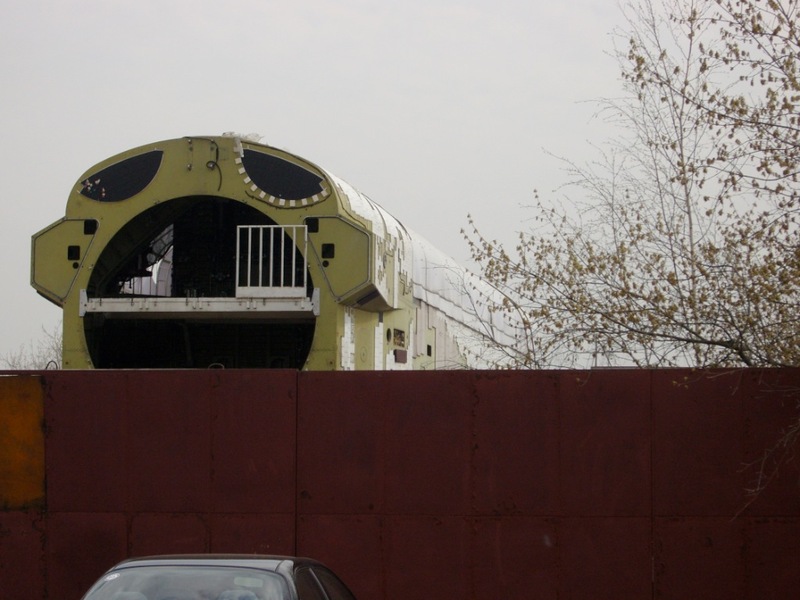 Here is some pictures of the 2.01 Buran shuttle taken at the begining of the year before on the TMZ’s parking at Tushino (near Moscow). Unfortunately, the shuttle (or what there is left) is subjected to the bad weather and in not so many years it will be good to be put in a wasteland. Posted on: 2008-03-23 under Web Site, Buran OK-2.01. A reader of Livejournal.com recently took pictures of the shuttle 2.01. 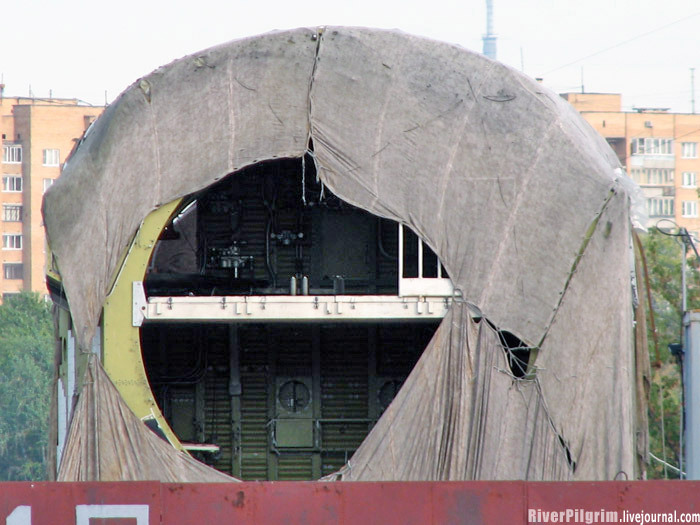 These pictures were taken from a boat on a canal around the Tushino airbase. We can see the 2.01 model, without wings, covered by a tarpaulin as the only protection. Posted on: 2007-10-10 under Web Site, Buran OK-2.01. I added a section in the Built models part, for the OK-2.01 shuttle with inside and outside pictures, taken at the TMZ factory in Moscow. Posted on: 2007-07-08 under Web Site, Buran OK-2.01.